Keeping dry is essential if you are to minimise your likelihood of getting hypothermia, and it’s not just about keeping out the rain. The body produces sweat, so the outer layer has to be able to release moisture from inside as well. Jackets that do this are referred to as being breathable or having breathable membranes or coatings. The most commonly known breathable fabric (membrane) is Gore-Tex ®, which was originally developed for the US manned space programme. Since Gore-Tex ®, other membranes are available, such as e-Vent. The membrane is a layer of material that’s laminated to a waterproof outer fabric, and its purpose is to push out moisture from inside the jacket, thus keeping you dry from the inside too. Coatings do the same job as membranes but are a chemical coating to the inside of the jacket rather than being a physical laminated layer themselves. Membranes are more efficient at expelling moisture, but do cost more and tend not to last as long as coated jackets as the membranes can eventually come away from the outer jacket shell. The hood of a jacket is important too, in that it should be able to drawn tight so prevent the wind and rain from entering the jacket, but at the same time being free enough that you can move your head freely and see where you’re going. 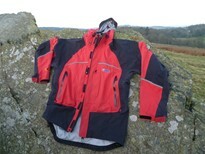 Believe it or not, but jackets are manufactured whereby the hood will not stay up if confronted with a headwind. 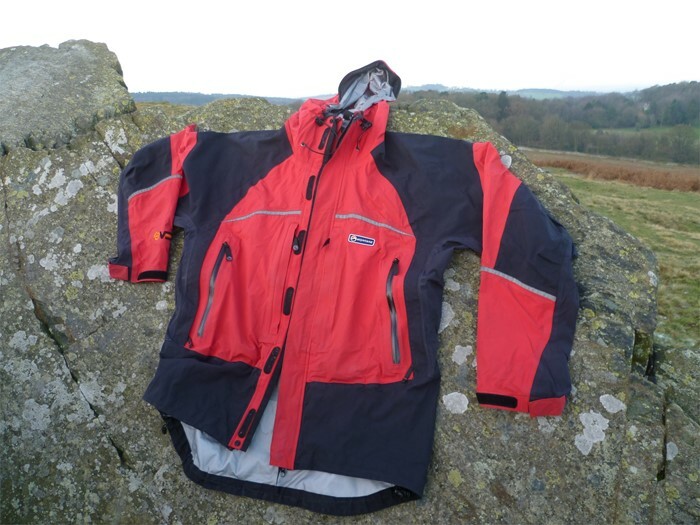 Hardly of much use for the UK market, but such jackets are out there. Pay special attention to the hood when buying a jacket. In the most prolonged rain there is a certain inevitability that even the best jackets will let in some water. Not necessarily through leaky seams etc, but from the neck line, wrists, ventilation openings and any pockets left open by mistake. Get yourself into a routine of zipping-up pockets and vents when not in use. Aside from jackets alone, pull-over smocks have become more popular in recent years and the use of the word jacket here is interchangeable with smock. The choice of which is best is a personal one, although jackets do benefit from a full length zip, which can be more convenient if you need to add or remove a mid layer, or cool down when hot. A strong wind can zap the warmth from you very quickly as it makes ambient temperatures feel much lower than they really are; referred to as windchill. An outer layer in windy situations is important, and there are available thin and lightweight jackets whose sole purpose is to keep the wind off you on days where your normal waterproof jacket would be overkill and retain too much heat. The following video explains more about the types of breathable fabrics.